Drew Estate has announced that it will release two new quick smoke products at this year’s Tobacco Plus Expo (TPE) 2019 trade show in Las Vegas, Feb. 11-13, 2019. 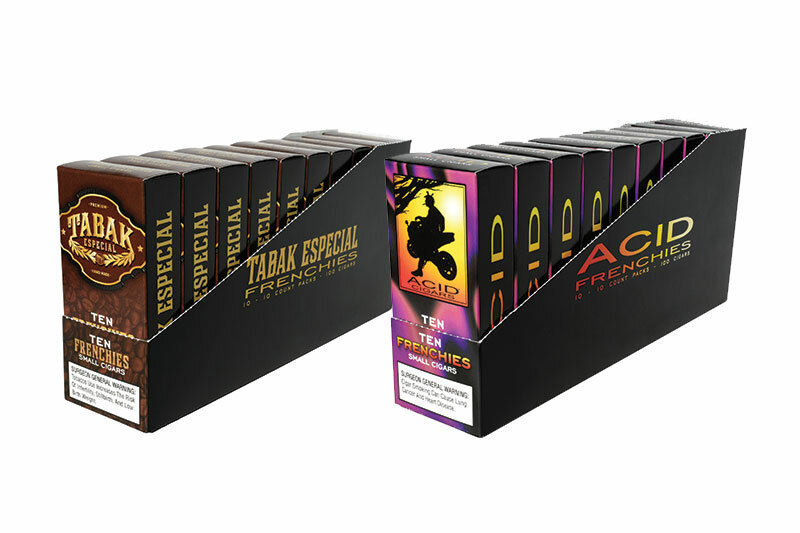 These new products, ACID and Tabak Especial “Frenchies” are small cigars that will make their debut at TPE and will mark the kickoff of the 20th anniversary of the ACID brand. ACID Frenchies are small cigars wrapped in a lush Sumatran wrapper. They will have Nicaraguan fillers that will produce a sweet smoke and aroma. Tabak Especial Frenchies feature a smooth Ecuadorian Connecticut Shade wrapper and Nicaraguan fillers, making it the perfect quick smoke with your morning coffee. ACID and Tabak Especial Frenchies will come in a 3 1/4 x 20 size. ACID Frenchies will be available in 5- and 10-count packs while Tabak Especial Frenchies will only be available in 10-count packs. 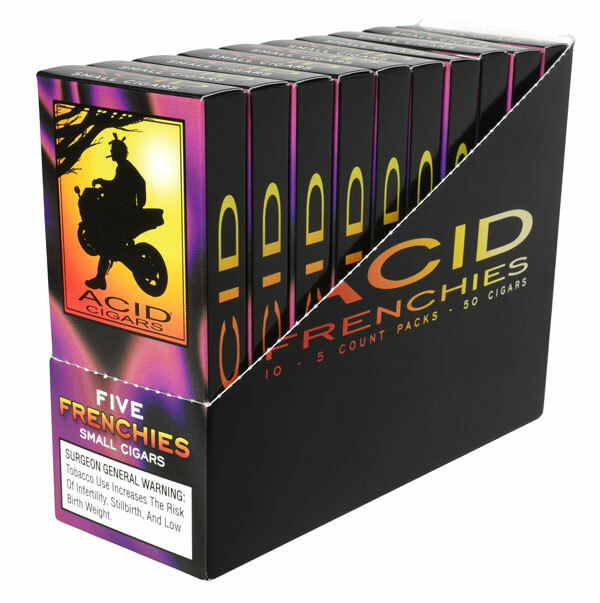 ACID Frenchies 5-count packs have an MSRP of $5.99 per pack; the 10-count pack will have an MSRP of $9.99 per pack. Tabak Especial Frenchies 10-count packs will have an MSRP of $9.99 per pack. Each quick smoke will be shipped in a shelf merchandising sleeve of 10 packs for retailer convenience, with each pack individually humidified with Boveda, enabling the products to be easily displayed both inside the humidor or at the register. “Frenchies are the mega start to kick off the 20th Anniversary of ACID, and a perfect way to enjoy ACID in any moment during your day. For you coffee freaks, we also have the Tabak Especial in this new mini size. Why Frenchies you ask? 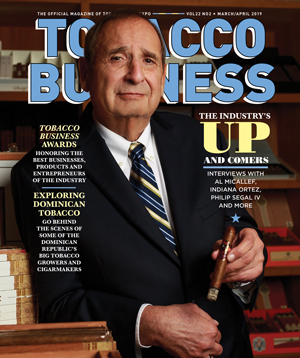 Well, French is the language of romance and people are going to LOVE these sticks,” commented Jonathan Drew, president and founder of Drew Estate. Drew Estate’s ACID and Tabak Especial Frenchies will be showcased at TPE 2019 with Phillips & King taking pre-orders. They will begin shipping to retailers in June. Kwik Trip will sell both the ACID and Tabak Especial Frenchies in a first-to-market period of 60 days, beginning March 1, 2019, throughout its 650 locations. A full Frenchies rollout and introduction will take place at the 2019 International Premium Cigar & Pipe Retailers (IPCPR) trade show and convention. 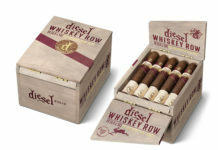 For all the latest news Drew Estate, visit drewestate.com.